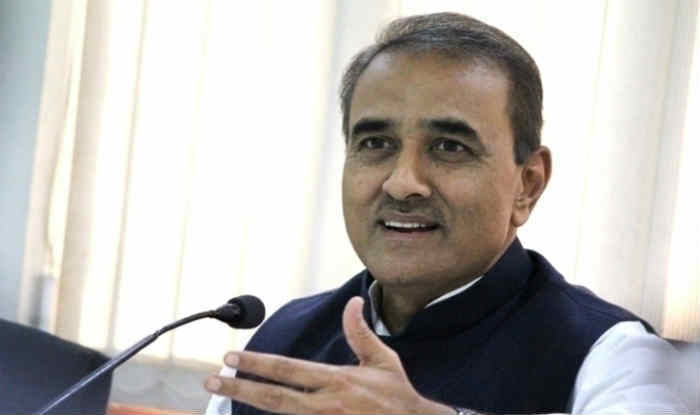 New Delhi: Ahead of the 2019 Lok Sabha elections, the Nationalist Congress Party (NCP) and the Congress have made progress in their seat-sharing talks, Praful Patel, senior NCP leader said. The parties have reached a consensus on 40 Lok Sabha seats, while a decision on the remaining eight constituencies in the state is yet to be made, Patel stated. Notably, Maharashtra has 48 Lok Sabha seats, the second highest after Uttar Pradesh’s 80. Furthermore, the NCP leader also expressed confidence and said that their alliance with like-minded parties would get “great success” in the forthcoming election. “We are always of the opinion that like-minded parties should come together. I am sure that the alliance will achieve great success,” Patel told reporters. The former Union minister made the remarks even as NCP chief Sharad Pawar held a meeting with key leaders to discuss the party’s preparation for the Lok Sabha polls. “We want to bring parties which believe in (chief Constitution maker) BR Ambedkar’s ideology together,” Patel added. Sources said the leaders also discussed resolution of differences among them in certain constituencies, including Beed, ahead of the elections. The sources said the seat-sharing would be finalised by the central leadership of the Congress and the NCP. “The ball is in the court of the central leaders. The two parties would submit their respective reports regarding seat-sharing to their respective central leaders. Based on that the arrangement will be finalised,” they added. Earlier NCP supremo, Sharad Pawar had also said that he is holding discussions with Congress president Rahul Gandhi at the national level. “We are positive and we are trying to bring all the like-minded people together. We are working out on how to bind all the secular parties together to throw the communal parties out of power,” Pawar had said.